Hello,folks!i am alex! would you like me to tell you about my winter lego renting?great! now let me tell you about the lower price stuff. the lego car chair is… oops! i forgot to tell you when i open and when i close!i am open on saturdays.i am open from 9.52 a.m to 5.50 p.m.i love customers,neighbors,and friends! and i have one question for adam g…WILL YOU HELP ME MAKE MY LEGO STUFF?thank you! now,back to you folks! where was i… oh yeah! the lego car chair is 3.45, the lego spaceship chair is 2.31, and the lego gold chair is 45.55! the lego mini speeder/screwdriver holder is 12.98!rent some of my lego stuff! Who do you want to be for Halloween? 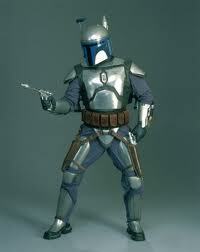 i,alex,ruler of oscar’s window, am going to be jango fett for halloween. wyndham is going to be tinker bell. mom(a.k.a sandra) is going to be padme for halloween. tell me who YOU are going to be for halloween by going on facebook and writing who you would like to be. BOOOOOOOOOOOOOOOOOOOOOOOOOOOOOOOOOOOOOOOOOOOOOOOOOOOOOOOOOOOOOO!!!!!! Yesterday we had a play date with my friend Peter. We got Slurpees. It was very fun. Peter got a giant pepperoni pizza. We wanted to go to Subway, but Mom didn’t let us. Well, today we’re gonna go to my cousin Kemi’s birthday. And maybe Mom will let me go to Subway today.